Áli/Alli had this stone raised in memory of Ulfr, his son, Freygerðr in Vestbyr's father. (This) is carved rightly. Two more rune stone next to Angarn church, which you see in the background. On the back of the stone there's a part of a carving. No runes - just a roungh sketch of the serpent's body. 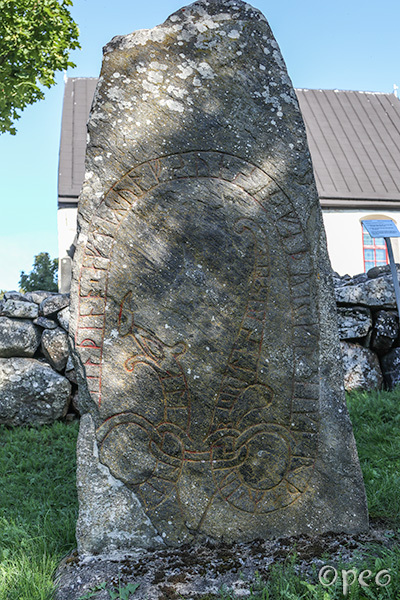 Bjôrn and Végunnr had the stone raised in memory of Sveinn, their foster-son. 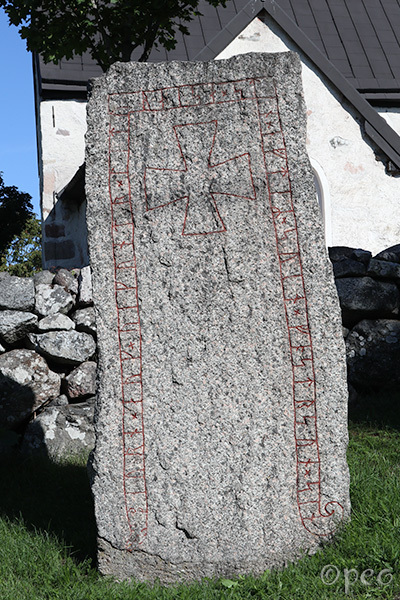 These rune stones are standing just outside the cemetary wall of Angarn church, together with U 202.